Click HERE for SAT register as at September 2011. Henry Firmston commenced this project (see NZAAHA Gazette, June 2004 page 6 and December 2005 page 9) which to date has been a great success in focusing other interested parties such as myself and Stewart Lockhart and progressing the researching and collating of information on these antique and historical rifles. My first encounter with a Boer War Mauser was amongst the possessions of my late Grandfather 2709 & 5434 Saddler Sergeant G.F.William (Bill). Taylor 5th and 8th Contingents of the New Zealand Mounted Rifles (NZMR) a veteran of the South African War. The rifle was manufactured by Ludwig Loewe in 1896 and marked S.A.T.34 and had been around the family for many years, giving rise to the impression that he had bought it back from South Africa with other items the family hold. It was only in the late 1970’s I became aware that S.A.T. 34 stood for South African Trophy rifle number 34 and therefore could not have been brought back by him. The NZ Government had given out these rifles in 1904 to various local Councils as a trophy rifle to mark their Districts support for the war and recognition of the local volunteers who served in South Africa. I therefore assume that when the Gisborne Borough Council disposed of their rifles at some unknown time my Grandfather acquired it. 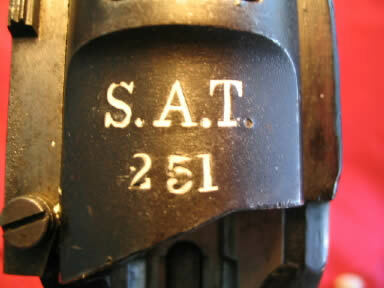 To date the updated SAT Register on our NZ Antique and Historical Arms Association web site now contains 71 SAT numbered Mausers and 17 Martini Henry (MH) Rifles. I was able to supply Henry Firmston a list of 17 Mausers of which 15 were SAT marked and numbered. This was from a series of articles by Bruce Grant that appeared in New Zealand Outdoor in the September, November and December 1973 editions, a copy which our now President Russell Wood had given me in the early 1980’s whilst I was living in Timaru. Added to this I had a number of sightings over the years that I passed on including one owned by a pre school friend and fellow Army Officer who had the then lowest numbered rifle, SAT 32, that had come at some stage from the Gisborne Council via a local collector. Last year I happened to visit a Museum (which must remain unnamed) and ended up assisting them with identifying some of their militaria etc. As a result of this they said they had a few rifles and that may be I could help them with identification. 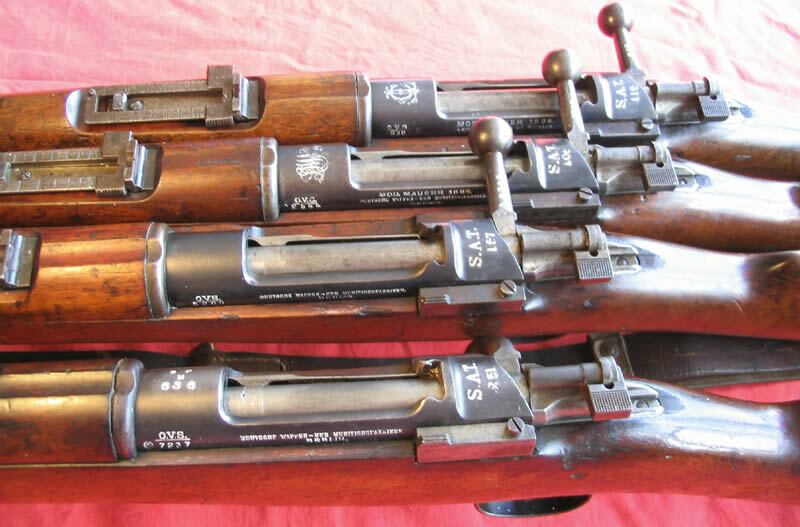 And what a cache of rifles it was – twelve Boer Mausers and three Martini Henrys numbered SAT 1 – 15 the last three being the MH’s. The first 15 SAT numbers showing that it appeared the numbering was in mixed batches of rifles as donated to various councils at the time. Regrettably at the time of inspection the Mauser bolts were secured elsewhere and I’m still awaiting their details to complete the SAT list. After discussions with the anonymous Museum it transpired that the owner of the rifles was the local District Council and that permission would be required from them to allow a list of the rifles on our web site. I made formal application to Council for the release of the information, which was granted on the basis that only I was to know of the source for security reasons. 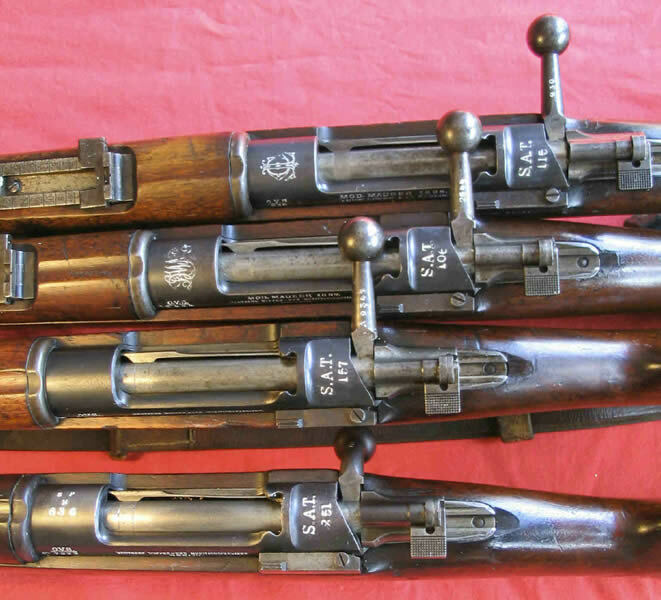 And so we now have a glimpse of the first batch of SAT rifles so numbered and donated to a local council still in existence as a complete group one hundred years later. My deduction from the anonymous Museum cache and the two known Gisborne rifles suggest that 12 Mausers and three Martini Henry rifles were allocated to each Council. My assumption is that the Gisborne rifles were numbered SAT 31 to 45, so which Council received SAT 16 to 30? What were the allocations to the other Councils and how many trophy rifles did the Imperial Government give to the Colony of New Zealand? Your assistance may uncover these facts! From Agent General. Trophies late SA War. Bill of Lading for Krupp and Maxim Guns, Carriages and 600 Mauser Rifles. 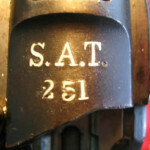 The NZ Defence Department unlike any other Colony stamped the Trophy Rifles with S.A.T. and a number, but this appears haphazard in the execution. 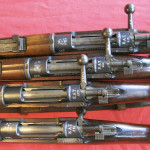 The Mausers have it stamped either behind the receiver bridge or the charger loader but infrequently we see the SAT stamp appearing on the top of the receiver. 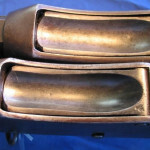 The MH rifles are stamped SAT on the top of the barrel with the number at the top rear of the body or together at the top rear of the body. With so many variations we cannot make any useful deductions as to numbers etc. It appears that each Armourer marked the rifles to his own liking. Lord Kitchener visited New Zealand in 1904 and toured the country presenting various South African Trophies but again we are unable to establish exactly who got what or how many apart from some of the Trophy Guns. 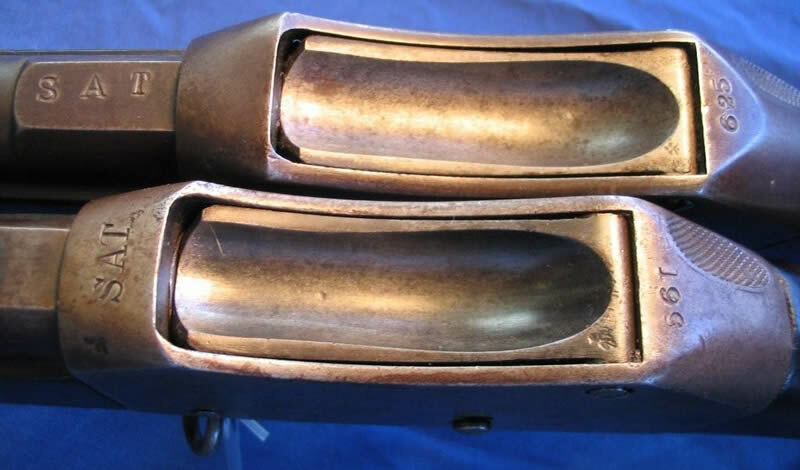 The above regretfully doesn’t provide the whole picture, to date NZ Collectors had generally understand that the NZ Colonial Government received about 600 rifles but reconstruction so far of our SAT Register to date discloses numbers outside this i.e. from 1 – 1233. Could it be that we received about 600 of each type of rifle? This reinforces the need for NZA&HAA members and others assistance with this worthy project. Members of the NZ Antique and Historical Arms Association Inc. should support this project to record all known examples surviving to day as it fits our name and objects as a society and demonstrates to the public the serious nature of weapon collecting and research as against some perceived uninformed public impressions to the contrary. I have heard that some NZA&HAA members and collectors express their concerns as to security and of being harassed by other collectors if they release the details of their SAT marked rifles. This is not the object of the exercise, and to reduce these fears our NZA&HAA Secretary Phil Cregeen has generously agreed to allow himself to be the point of contact (POC) so that members and others can confidentially provide information on various SAT Rifles. He will only disclose the rifle details to the keepers of the database NOT the submitters’ identity. I therefore urge all members to support this project and provide all information for inclusion on our website to Phil on a confidential basis. 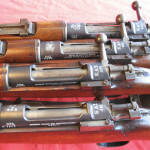 Lets show what we can do as a Society in locating as many Trophy Rifles as possible and see if we can try and work out how many SAT Rifles the Imperial Government gave the Colony of New Zealand in recognition of it’s assistance in the Boer War. The assistance of Stewart Lockhart in the preparation of this article is acknowledged.